HALIFAX, NS – 2 Crows Brewing has announced the release today (September 1st) of a new seasonal beer. 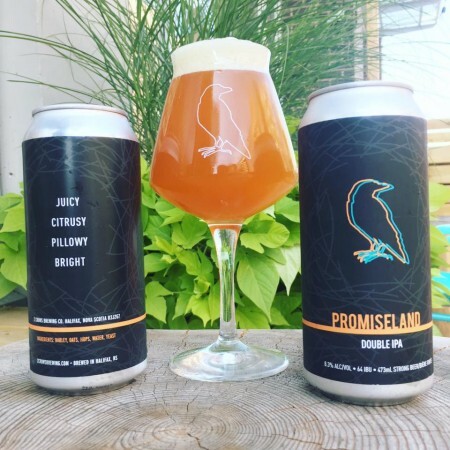 According to Maritime Beer Report, Promiseland Double IPA is a 8.3% abv and 64 IBU ale brewed with Simcoe and Citra hops. Promiseland will be available through the autumn in cans, pints and growlers at the 2 Crows taproom, and in cans at private liquor stores in Nova Scotia.